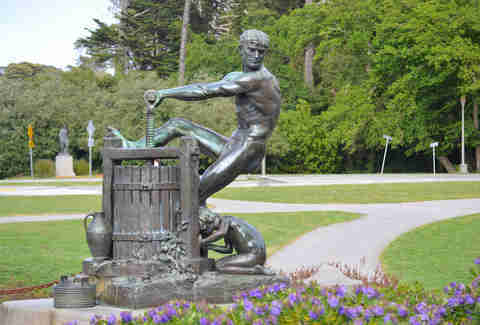 If you live in San Francisco, you've probably been to Golden Gate Park a bazillion times. You and 13 million other people each year. 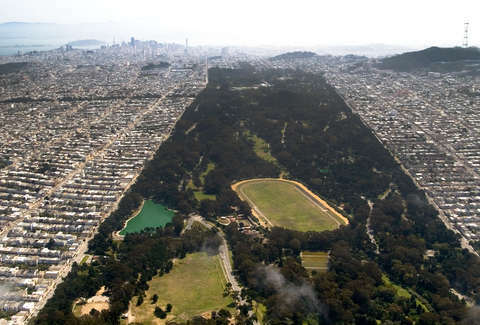 But just 'cause you've played Sloshball at Speedway Meadow and gone to NightLife at the Academy of Sciences, that doesn't mean you know everything there is to know about the 1,017 acres that were once sand dunes known as the Outside Lands. Like did you know that Strawberry Hill used to actually be covered with strawberries? Or that skaters flock to the Casting Pools when they're emptied?? Or any of these other 13 things??? We aren’t advocating going to the park and eating wild mushrooms (since some of them can kill you, bud), but it is true that you can find psilocybe cyanescens and psilocybe allenii in the wood chip landscaping in parts of the park, and that if you eat them, you’ll probably start giggling uncontrollably in 30-45 minutes. You’ve likely heard of, and been to, Stow Lake and Spreckels Lake, but have you fed the ducks at Mallard Lake? Checked out the wildlife at Metson Lake? Visited all three lakes in the Chain of Lakes? There’s also Lloyd Lake, Elk Glen Lake, and Alvord Lake. And two artificial waterfalls (Huntington Falls and Rainbow Falls). 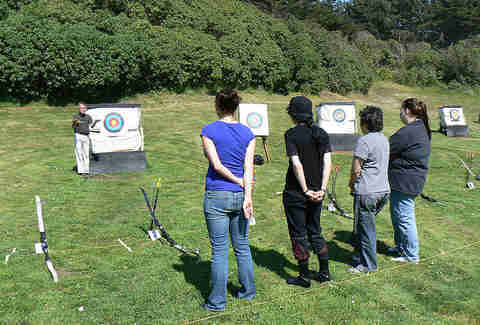 The archery range in Golden Gate Park is the only one in the city and you can go any time between sunrise and sunset to get your bow and arrow on. There are nine target hay bales and reservations aren’t required. You do, however, have to provide your own bow and arrows. If you’re not Katniss, and for some reason don’t have a bow and arrows hidden by the fence of your district, you can rent them at the nearby San Francisco Archery Shop. 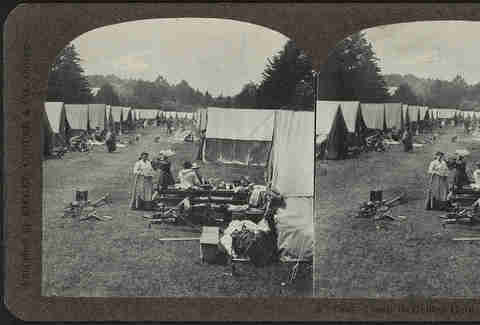 More than 40,000 people set up their own camps and outdoor kitchens in the park after they lost their homes in the earthquake and subsequent fires. Six months later, earthquake shacks were built in the park to replace the tents, and when it was finally time to eliminate the refugee camps, refugees were given a lease-to-buy option on the shacks. $50 got them their cabin, which was moved to a rental lot with fees of $3 to $15 a month. There are about 100 of these cottages left in the city, all of which -- as of last year -- would run you about $800,000. Don’t feel like paying 10 bucks to get into the de Young and another $23 for whatever the special exhibition is? 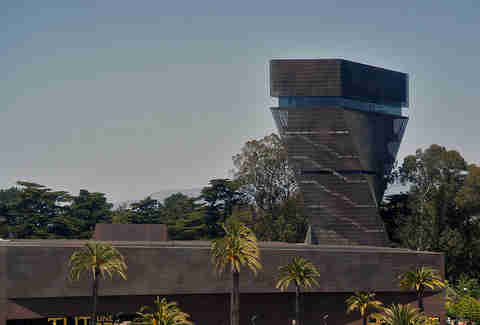 Skip the art and head to the Harmon Observation Tower, a glass-walled space that’s 144ft in the air and has 360-degree panoramic views of San Francisco and the Golden Gate Bridge. 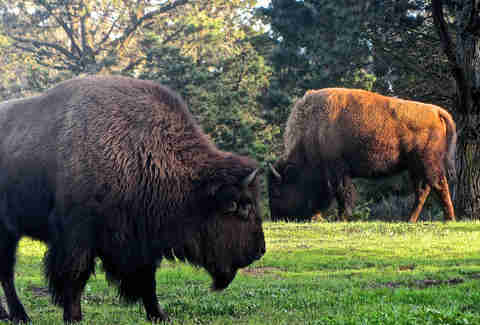 The first bison was purchased by Park Superintendent John McLaren in 1891 when the species was at risk of extinction. A female soon followed and they began what is one of the longest-running efforts to breed bison in captivity. Although there are only six bison at the Buffalo Paddock now, in 1918, there was a herd of 18. There’s a new one on a fallen eucalyptus log. 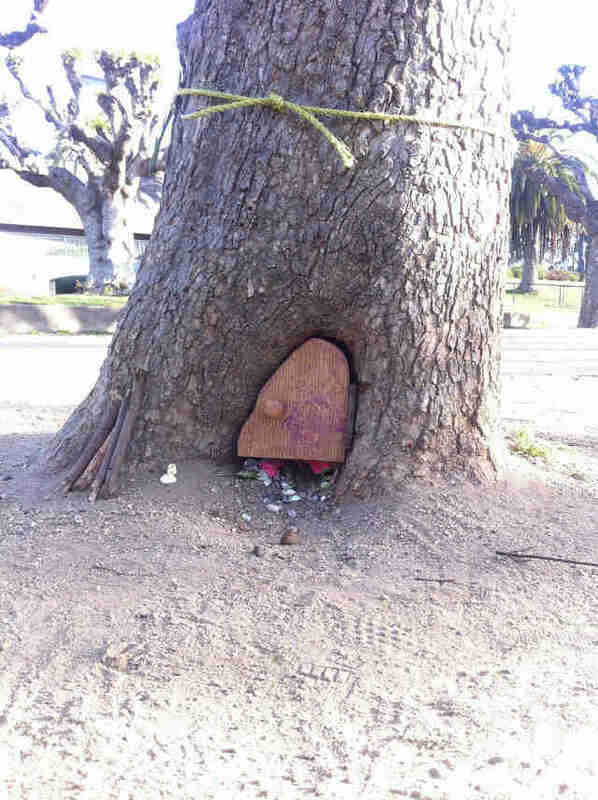 To find it, you’ll need to go West of where the original (shown) Fairy Door was (at the base of an elm tree in the Concourse of Golden Gate Park) and down a little trail until you find the 16ft log that sits under a yew tree. Unlike the original Fairy Door (which was removed because the brass hinges might have damaged the tree), this one has a doorknob on both sides so the fairies can shut themselves inside when necessary. 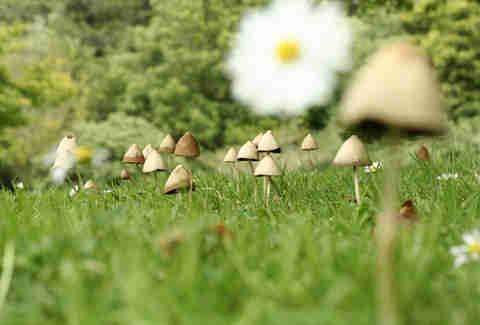 Feel free to leave a note; fairies love to read. 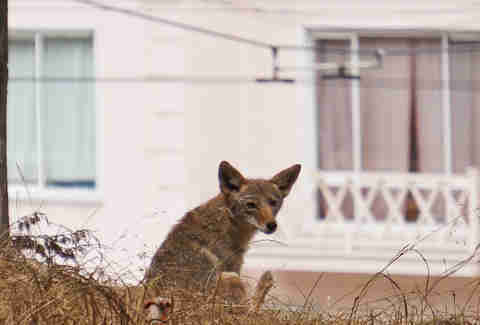 No one tracks the exact number, but there are estimated to be more than 100 coyotes in San Francisco and the largest permanent population lives in the park. Be especially careful between April and August since that’s when the coyotes raise their pups. 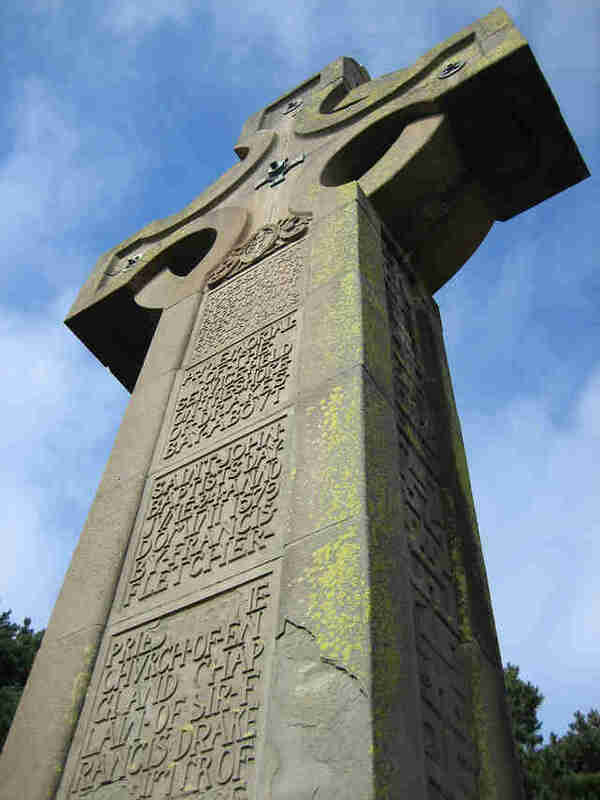 The sandstone Prayerbook Cross was erected in 1894 and was a gift from the Church of England. It was originally intended to be seen from the ocean, but is now concealed by dense trees, possibly because the city owning a cross is unconstitutional. You can find it atop the hill above Rainbow Falls. 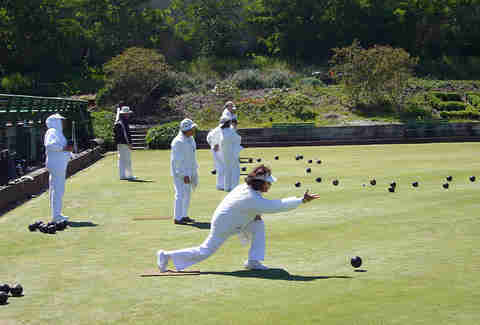 Sure, there have been lawn bowling clubs in England since 1299 AD, but whatever, SF had the first one in America, and that’s all we care about, right? Formed in 1901, it's Edwardian-style clubhouse wasn’t constructed until 1915. Want a lesson? You can get one for free every Wednesday at noon. ... and planted bushes around any statues that were built in the park. Despite that (maybe because of that? ), he was presented with a life-size statue of himself on his 65th birthday. 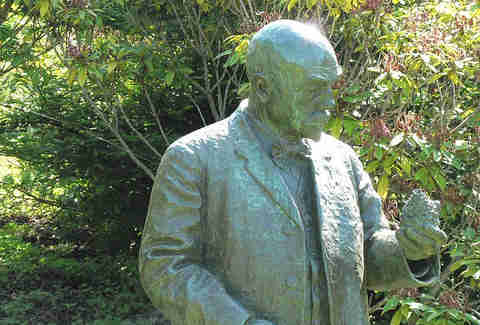 It went directly back into the box, but when he died in 1943, it was put on display at the back of the John McLaren Memorial Rhododendron Dell. It’s the only statue in the park that stands directly on the ground, a symbol of McLaren’s love of nature. ... but only one of a woman. 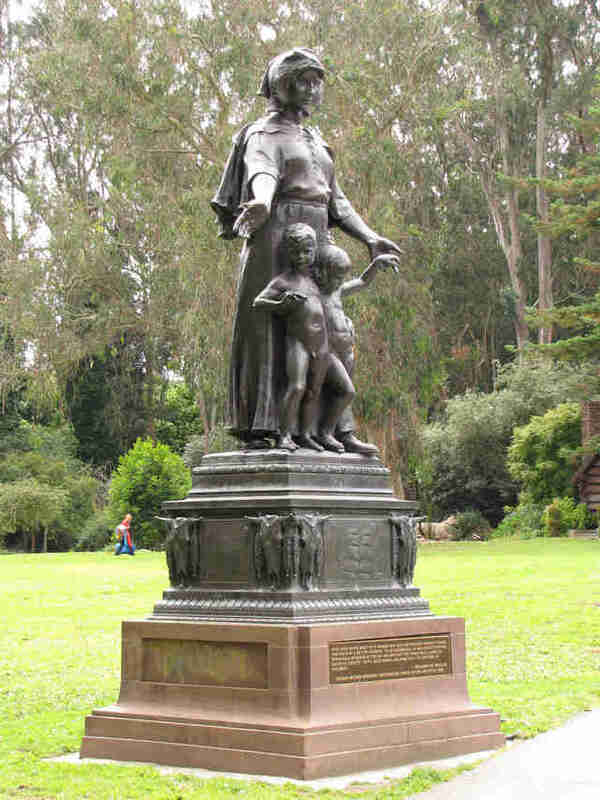 This statue, built in 1914, depicts a pioneer woman and her children. 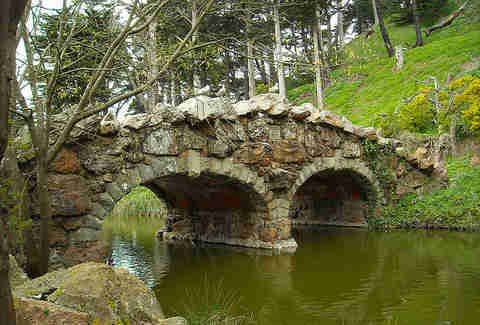 It’s allegedly haunted and will change positions or cause the ghost of Stow Lake (a woman in a dirty white dress with long dark hair) to rise from the waters. Daisy Barringer is Thrillist's SF Editor and it is quite possible that when she was a teenager she used to sneak into the Botanical Garden at night to do things that were totally on the up and up and certainly never danced in the fountain. Follow her on Twitter @daisy.